“After working with Ron, I felt relieved of the feeling that I need to please others to be accepted.” – M.W. You can create healthy relationships that can better resolve and mend common breakdowns for a revitalized and fulfilling lifetime together. Healthy relationships with people we care about can be our greatest source of happiness. Our connections with others let us give and get support through the journey that is life. Sharing those adventures, the good and the bad, helps gives life meaning and purpose. That’s why it’s so important to maintain happy relationships! Take a moment and think about how many people you know – family members, close friends, acquaintances, co-workers, teammates, and so on. That doesn’t even take into account social media! We all easily have dozens, if not hundreds, of connections to juggle. With each one of the people we interact with, we need good ways to communicate and excellent ways to resolve conflicts. Admit it, at times we have all felt life might be easier if we didn’t have to “deal with people.” Life is busy and relationships require time. Plus, who doesn’t relate to feeling annoyed or thwarted by other people sometimes? People we dislike. And people we love. Despite your best efforts, connections with people can sometimes falter. What can you do when a relationship has fallen off the rails and there are no obvious ways to mend it? From learning how to communicate with your teenager to repairing a failed marriage. From understanding jealousy to rebuilding trust. From disagreements over paying the bills to dealing with abusive relationships. From an unsupportive spouse to gender or sexual issues. Solving relationship problems can range from the simple to the extremely complicated. It may be perfectly normal to feel like raging at your loved ones sometimes. But if that feeling is common, if you’re butting your head against the same type of problems over and over – it may be time to dig for the root of the conflicts between you. This is especially true with your spouse or live-in partner. Rather than ignoring these problems, realize repeating patterns of conflict tend to erode your bond over time. Even things that seem simple, like fighting over dirty dishes or who’s taking the kids to school, can point to more serious underlying problems. 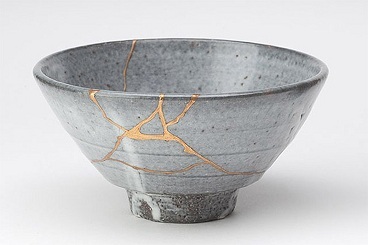 The Japanese have a practice called Kintsugi. 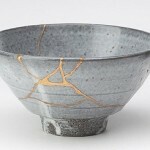 It is the art of repairing broken pottery with precious metals, like gold or platinum. A philosophy has built up around this practice, acknowledging that life is hard, and we all are damaged from it at times. At The Monterey Center of Alameda, we can help you fix the damage. You will embrace your new changes with Joy, rather than trying to hide them. None of us is perfect, however using the right tools can create a thing of beauty. No matter how complex your relationship situations may be, we are here and willing to help. We will work with you to determine the life skills needed to mend, improve and strengthen your important connections. We can help you address any emotions and difficulties that might be from past or present relationships. Effective approaches are custom-designed around mediated counseling, along with private emotional mastery through psyche-biofeedback sessions. Understanding yourself is key to creating better relationships. For example, you may have certain ways of behaving or thinking that leave you open to unwanted reactions from people around you. You may have a pattern of attracting unwanted people into your life. You may or may not be aware of these things. And if you are, you may not know how to change them. Based on finding out more about you and the difficulties you are having, we can create a program tailored to improve the relationship difficulties you want to change. Be a better YOU for yourself and others! Contact us today for your free consultation to get your relationships on the road to health!